You’ll find the Merry Harriers in Hambledon, a tiny village tucked away in the Surrey Hills, near Godalming. 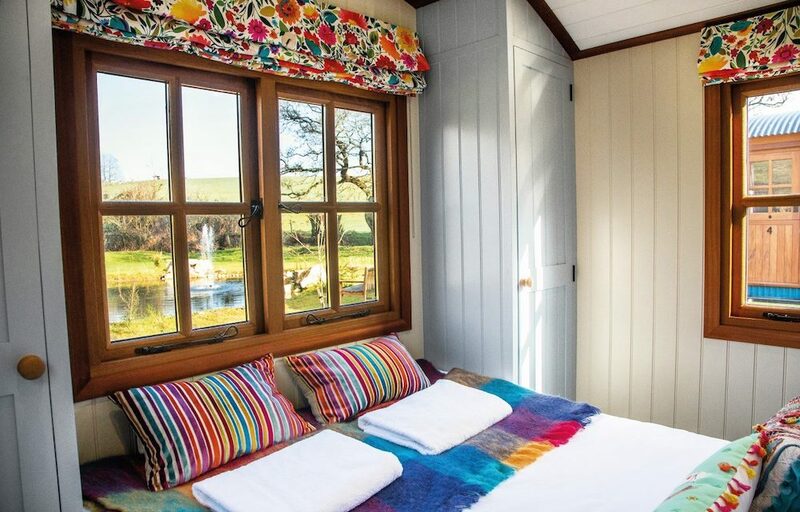 It feels like a million miles from anywhere with views out over fields, but it’s an easy drive to the A3, and Witley and Milford railway stations – with direct services to London Waterloo – are also just a few miles away. 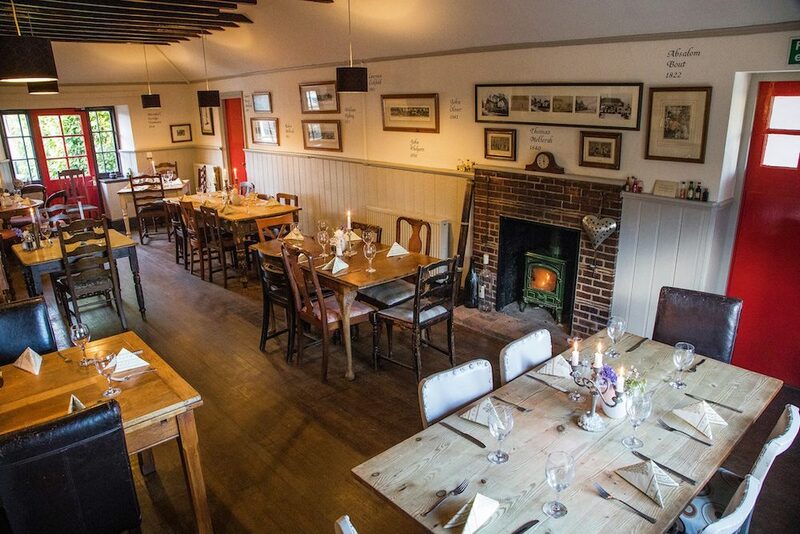 There’s not much to Hambledon, and if you arrive from the north you may only come across the pub. 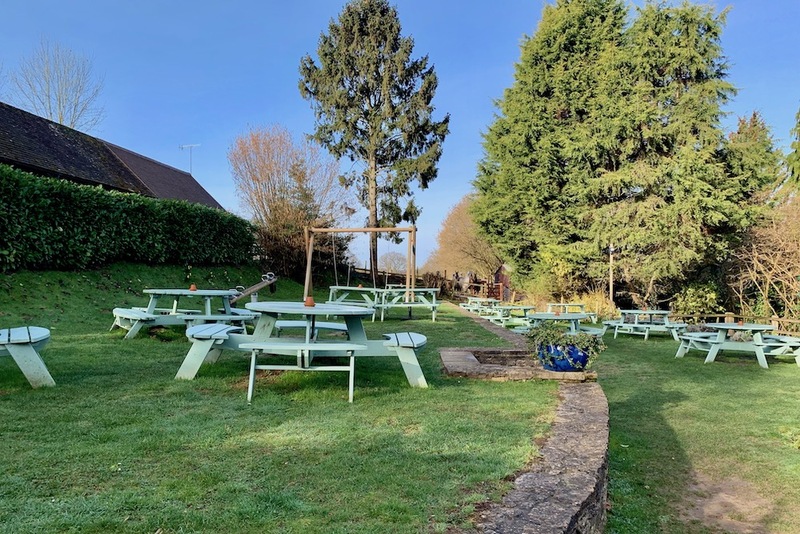 But there’s also a church, village hall and the Hambledon Village Shop, a community-run cafe and shop where you’ll find a selection of local produce and artisan food, wine and spirits, and great baked goodies. 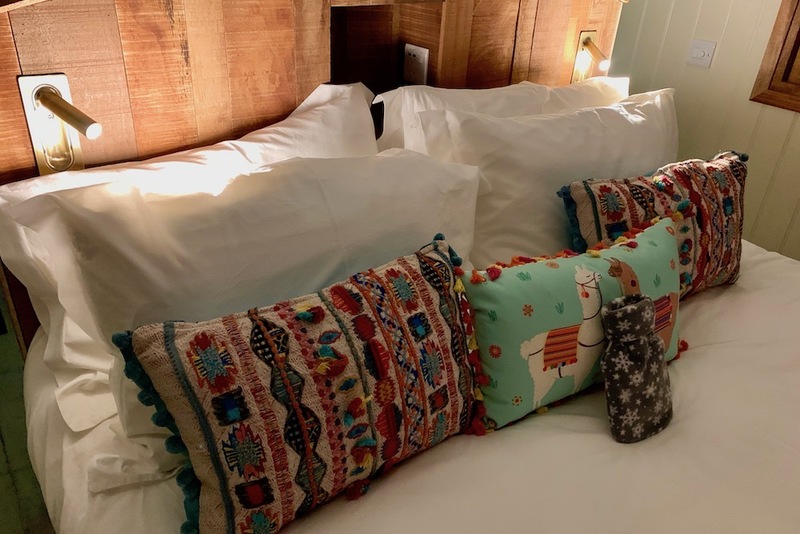 The pub was bought and revamped by local resident Peter De Savary, the multi-millionaire hotelier and former chairman of Millwall Football Club, just under two years ago, and as well as offering boutique accommodation there’s also llama trekking. It’s run by husband and wife team Sam and Danielle Montgomery-Page, with Sam wearing the chef’s hat and Danielle found at front of house. 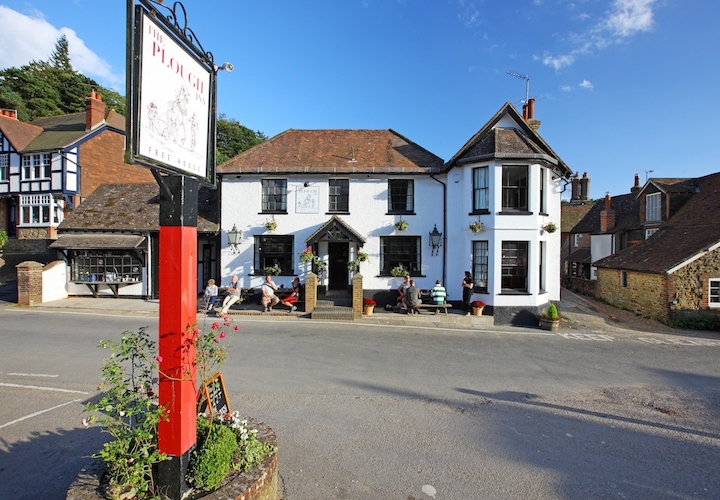 It’s a 16th century inn that’s popular with both the local folk and weekenders coming from London to walk in the surrounding Surrey Hills or take part in a llama trek. 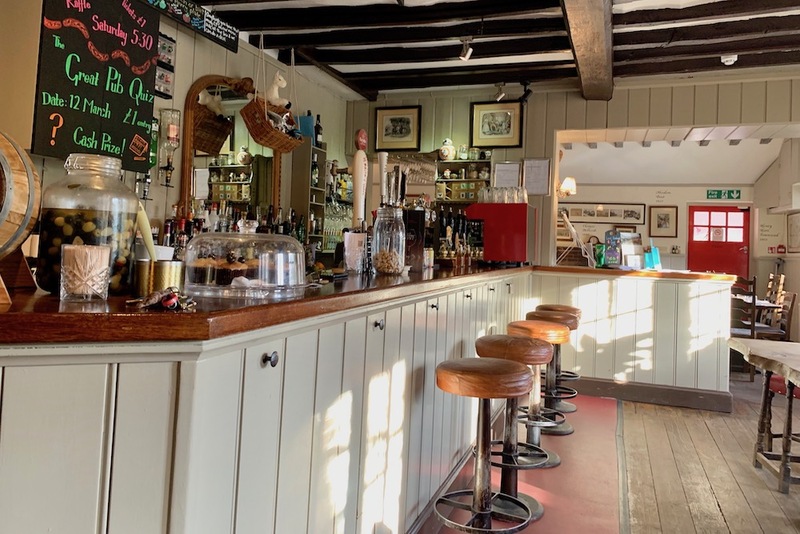 It’s a down-to-earth pub with reams of history and character, and a friendly, warm and cosy feel. There’s a huge inglenook fireplace and plenty of timber beams and, in a charming nod to the owners from days gone by, the walls have been etched with the names of the former landlords dating back to the early 1700s. 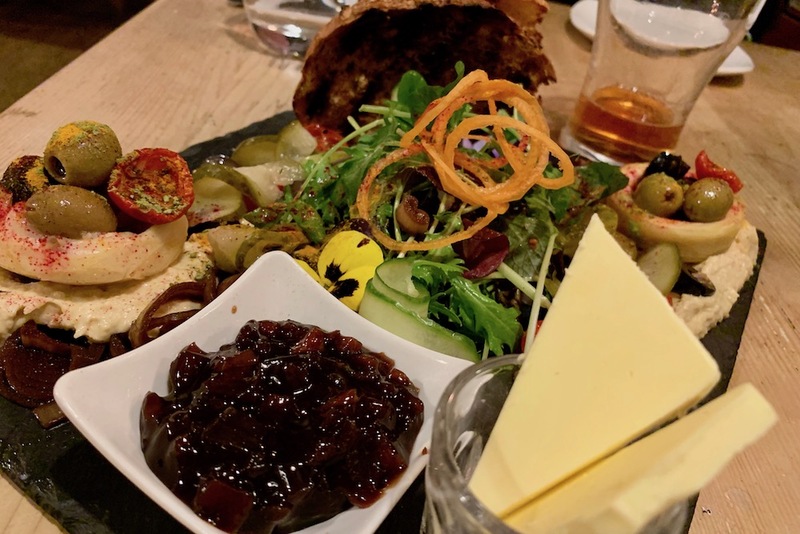 Most nights you’ll find at least one local at the bar, and in true traditional village pub style, on a Saturday there’s the Merry Meat Draw, a raffle which gives you the opportunity to win sausages, steak other locally sourced meats. 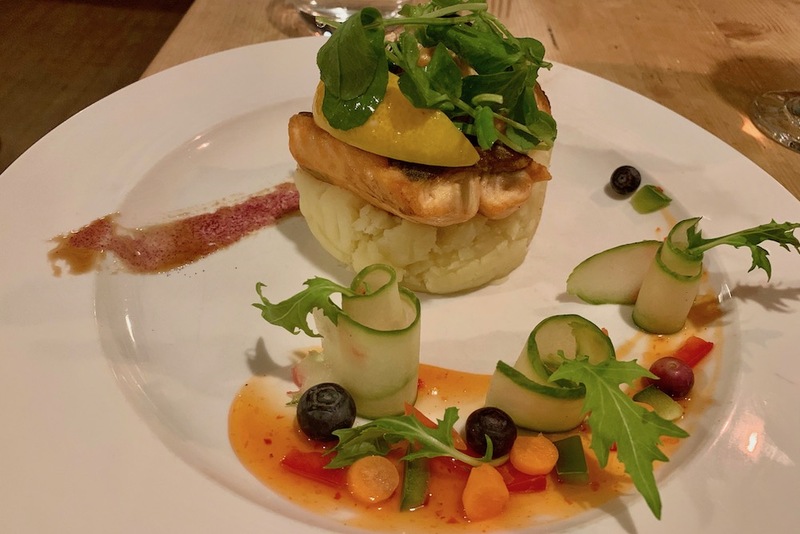 The menu is unashamedly no-nonsense pub grub, albeit with twist. 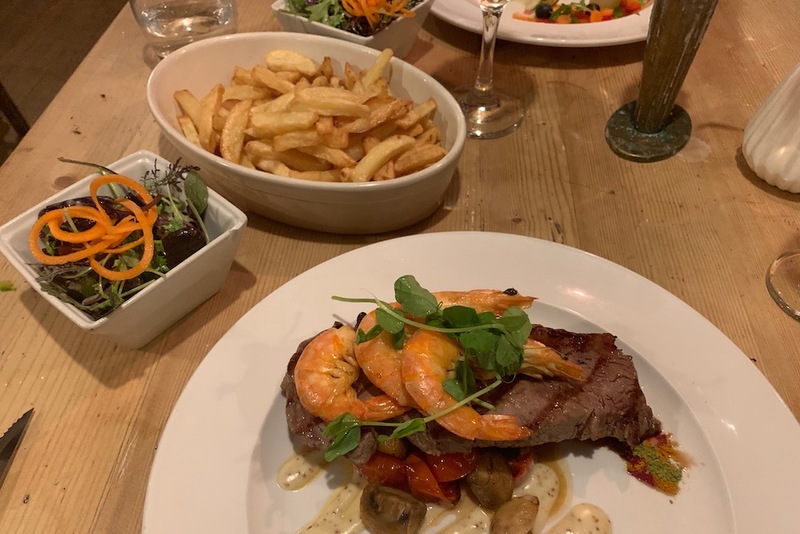 Choices like beer battered fish and chips and Godalming sausage and mash sit next to the likes of mushroom and Hambledon nettle risotto and halloumi salad with blueberries and sweet chilli dressing. The chef sources and forages – where possible – ingredients from the local area. I shared a lovely vegetarian sharing platter with Mr M which was beautifully presented and a great way to start. Moving on to mains, I chose the sirloin steak with peppercorn sauce, while Mr M went for the salmon with tomato and red onion salad, Chimichurri salsa and mashed potato. Both were good choices, well presented, beautifully cooked and very tasty. For puds, I went for the sticky toffee pudding – a good choice – while Mr M chose the chocolate orange pavlova, which he said was very good. Breakfast was continental with orange juice, croissants, cereals, fruit, yoghurt and choice of full English or smoked salmon and scrambled eggs. And coffee! 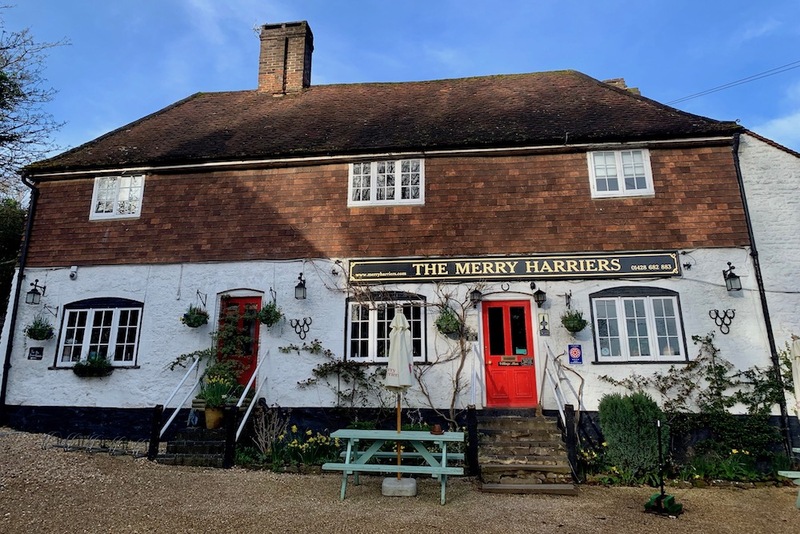 There are 15 rooms at the Merry Harriers – four in the main inn, six in a converted barn off the garden out the back, and five shepherds’ huts across the road. The bedrooms are all elegantly turned out in a mix of neutrals with cosy natural throws and antique prints on the walls. 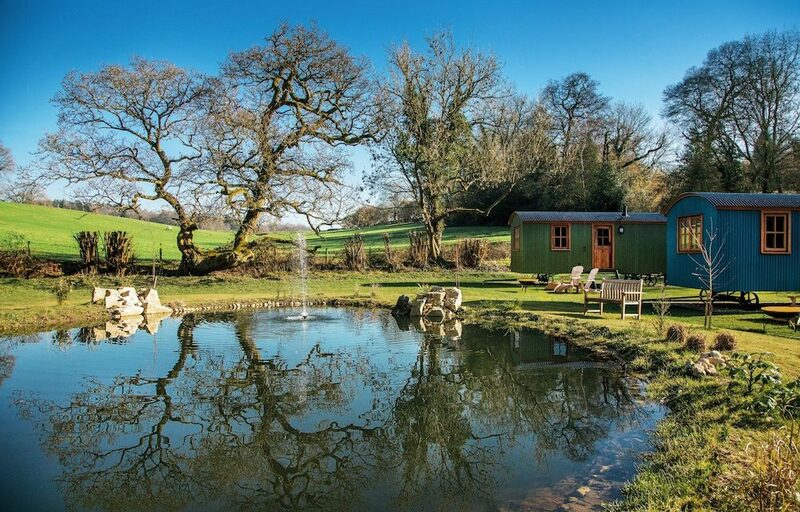 I stayed in one of the shepherd’s huts – waking up to views out over a large pond and the fields beyond. 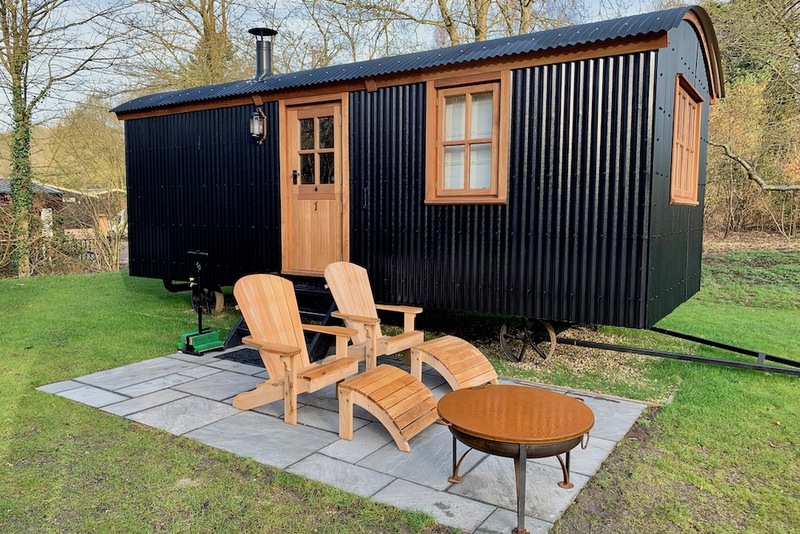 The shepherd’s huts are brand new this year, and they’re gloriously chic and cosy – immaculately and thoughtfully designed to boutique hotel standard. It’s what estate agents might call bijou, but everything you need has been cleverly packed in. 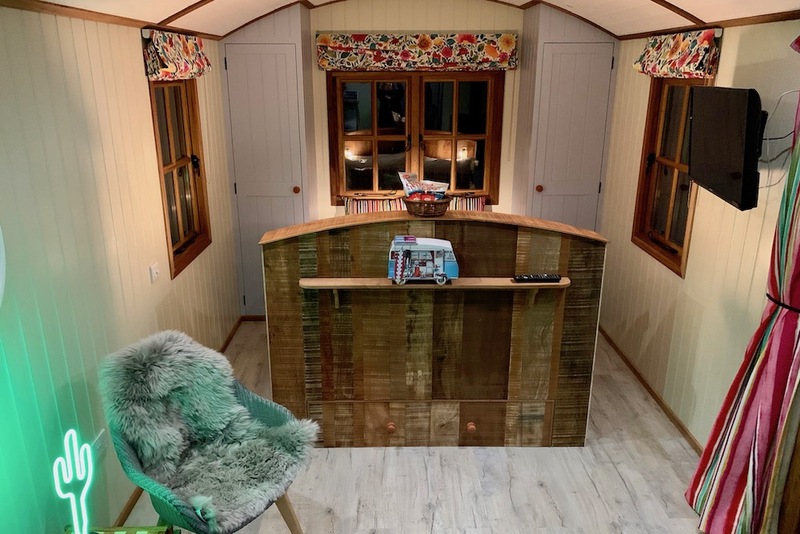 There’s underfloor heating, a log burner, a wall-mounted TV, a proper bathroom complete with fluffy robes and beauty products, a cosy sleeping area piled high with bright and quirky cushions and a well-equipped mini-kitchen including a fridge. Plus an outdoor seating area. We visited around the time Storm Freya was in the area, and with wind and rain battering our hut, it only seemed even more cosy. Of course, I couldn’t resist firing up the woodburner, and even though it was a cool night the hut heated up to a level somewhere just below sauna. Cosy? Definitely. A little too cosy? Quite possibly. Rooms and huts are for two, and it seems a shame to burst that bubble of tranquility and calm by brining the kids. Having said, that, kids are welcome (as are dogs, in the garden rooms) and they’d certainly love the llama trekking. Z beds and cots can be set up, and there’s a kids menu as well as a kids play area in the garden. Kids must be over 8 to trek with the llamas. 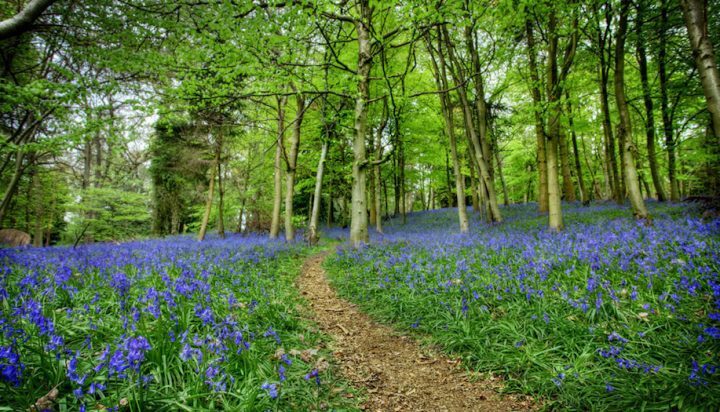 There’s plenty of walking in the area, with both the Greensand Way and the the Surrey Hills Area of Outstanding Natural Beauty offering miles of walking and cycling trails. 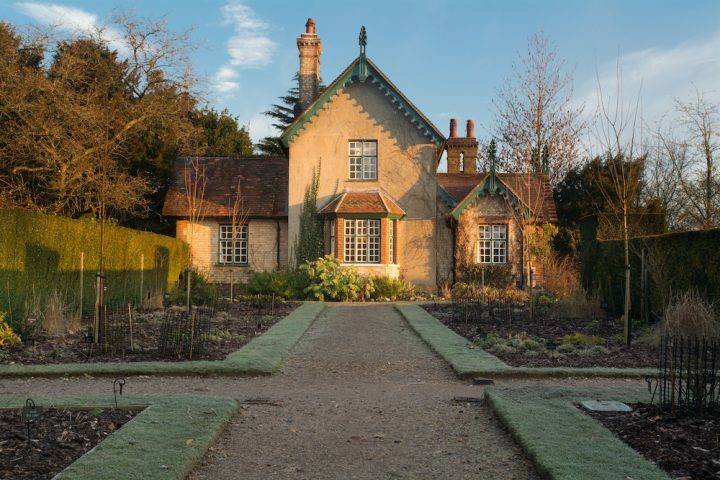 Winkworth Arboretum and Hydon’s Ball and Heath (both National Trust) are also nearby, as is Oakhurst Cottage (also NT) and Ramster House and Gardens (but check opening times, it’s not open all year round). Guildford, Godalming and Haslemere are also a short distance away. 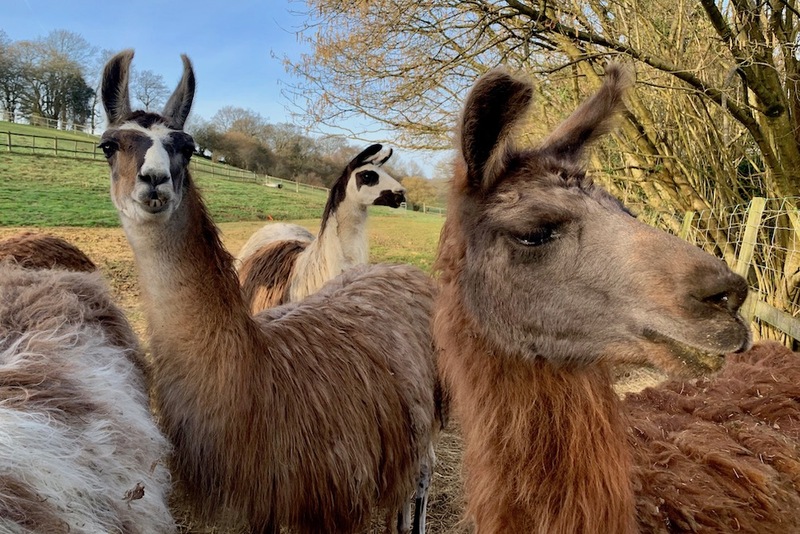 There are also the llama treks, with various option ranging from the 1.5hour summer evening trek (adult £55.20, child (8-13) £27.60) to the full-day luxury Champagne picnic trek (£99.60 per person). Good for: A romantic getaway, or for anyone who needs to disconnect and unplug for a while. It’d also be perfect for a couple who are completely frazzled by caring for tiny children and crave a night of peace and quiet to recalibrate and recharge. Not for: People who insist on classic five-star luxury might find the quirky glamping experience not to their liking. The damage: The shepherds’ huts are £195 per night which includes breakfast at the pub. The garden rooms are from £90 for a single to £110 for double and the inn rooms are from £95 single to £115 for double. Food is £6.50 for a starter up to £14.50 for a shared platter as a starter, mains around £14 and desserts all £6.75.